Interfold 35F uses precision chrome bearings and can handle top hung folding panels of 35kg without a channel or guide for residential and commercial interior applications. 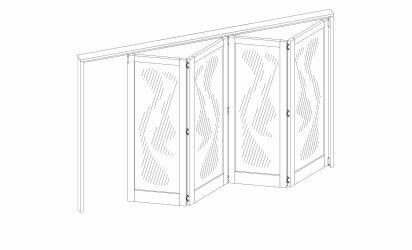 The system allows panels to close against rebates which is necessary for applications where sound and light proofing is required. 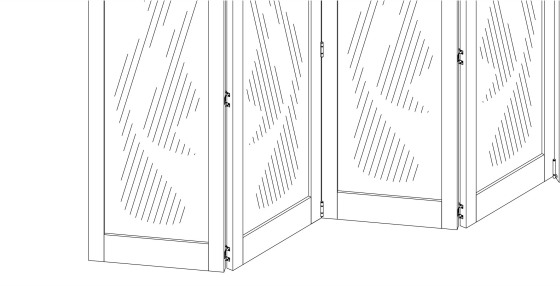 Interfold hardware is suitable for timber door systems with all doors of equal width. Interfold 35 allows six panels to fold each way with the use of a guide and channel.